While following the news last week, you may have noticed a number of Alzheimer’s disease-related headlines that seemed too good to be true. And in fact, they are too good to be true, though they are based on a real study published in mid-October in the journal Frontiers in Neuroscience (the study didn’t gain media attention until a Nov. 5 press release). Before we dive into the study, let’s clear up one thing: drinking coffee is not a proven way to prevent Alzheimer’s disease. The research team examined three coffee roasts; dark, light, and decaffeinated dark. They investigated how phenylindanes, which are produced during the roasting process, interact with three proteins (amyloid, tau, and α-synuclein) linked to Alzheimer’s and Parkinson’s disease. They concluded that phenylindanes, found in higher quantities in dark roast coffee, are the most efficient at inhibiting amyloid and tau protein aggregation in vitro (in a test tube/culture dish). It’s interesting, sure, but news organizations ran far too quickly with their coverage. Even if all goes well in future studies on cell and animal models, it is highly unlikely to translate to humans. We’re reminded of a series of mouse model studies linking cabernet sauvignon to a reduced incidence of Alzheimer’s disease. Researchers began studying whether resveratrol (an ingredient in red wine) could become a treatment for Alzheimer’s disease, but human-based trials did not show comparable results. Several members of our communications team are former journalists, so we understand the appeal of an attention-grabbing headline, but we call on journalists to consider the responsibility they have to represent researchers and their work properly. CNN missed the mark on this recently with another too-good-to-be-true headline: “Five-minute neck scan can spot dementia 10 years earlier.” We encourage you to read Health News Review‘s response to that one. Does the story link to the original research? Was the research using humans or mice (or not even that)? What are the researchers’ quotes? Does the headline seem far more enthusiastic? 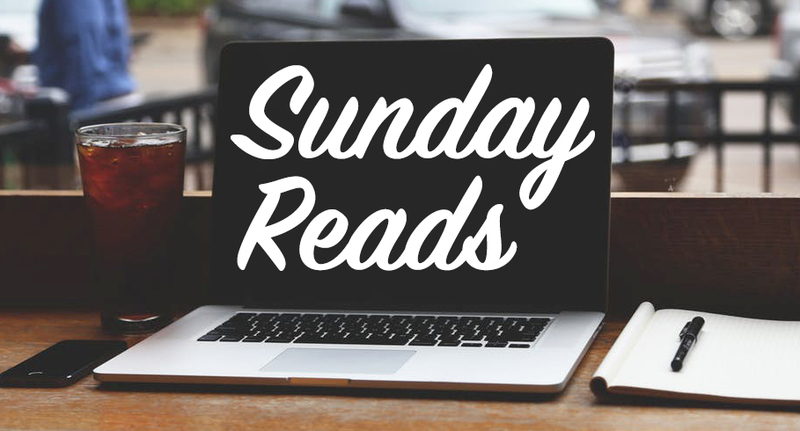 Of course, if one of those remarkable stories is worth the hype, you can bet on seeing it in an upcoming edition of Sunday Reads. Bridges to Wealth is holding a new, three-part Financial Empowerment Series on Wednesday, November 28, December 5, and December 12 from 10 to 11 a.m. at the St Charles Senior Community Center. This is a financial education program where attendees will learn how to repair credit, reduce debt, and build wealth. After completing the series, attendees are welcome to join a PMC investment group that meets monthly at the Ralston Center. This program is free.